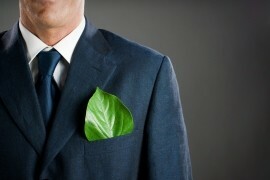 Many companies are still convinced that the more environment-friendly they become, the more this effort will damage their competitiveness. They believe this effort will add costs and conversely not deliver immediate financial benefits. Executives behave as they have to choose between larger social benefits of developing sustainable operations, or achieve higher profitability. CBE has proven that this is simply not true. The right organizational and technological innovations produce positive bottom line results. We have proved that becoming more sustainable lowers costs because inputs are reduced, and in addition, more revenues can be generated from better or different products and services which enable companies to fulfill other and more lucrative customer needs. We can help companies in setting up sustainable strategies and processes which provides our clients the opportunity to be early movers and gain a large and lasting competitive advantage. CBE is involved in developing new strategies and managerial approaches to solve sustainability issues which challenge our clients. We have the capacity to create project teams with experts from different industry practices and service lines, such as experts of consumer goods, reverse logistics, environment, mining, transportation and supply chain management, which are able to support our clients to design and realize sustainable business models and processes. We partner with our clients, providing them with the best in class knowledge which is fit for sustainability transformation and generating a lasting competitive advantage.